This high-resolution view shows a vast range of crater sizes in the dark terrain of the leading hemisphere of Saturn's moon Iapetus. 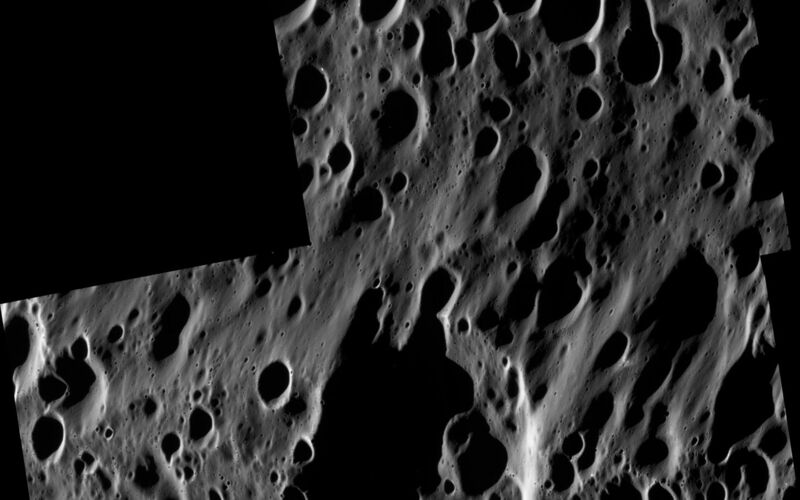 Across the scene, a few small bright spots indicate fresh, rayed craters where impactors have punched through the thin blanket of dark material to the cleaner ice beneath. 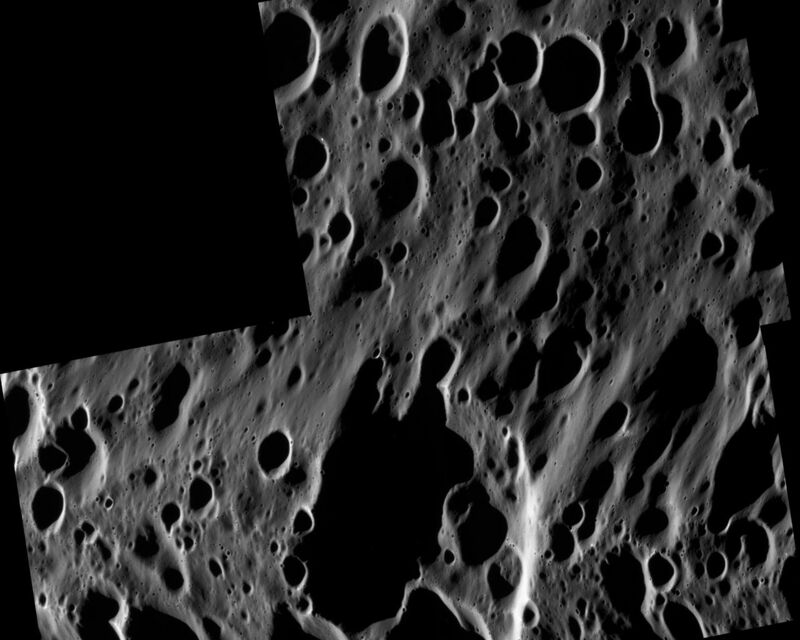 The slight elevation on the bottom half of the image is part of the giant equatorial ridge that spans a wide fraction of Iapetus' circumference. The numerous craters on top of the ridge indicate that it is an old surface feature. 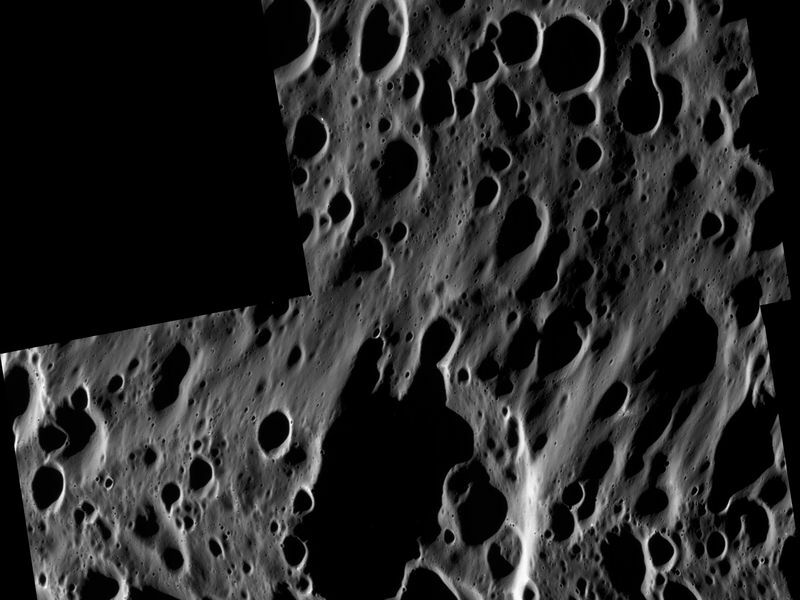 The mosaic consists of three image footprints across the surface of Iapetus. The view is centered on terrain near 0.5 degrees north latitude, 141.6 degrees west longitude. Image scale is approximately 22 meters (72 feet) per pixel. Illumination is from the left. 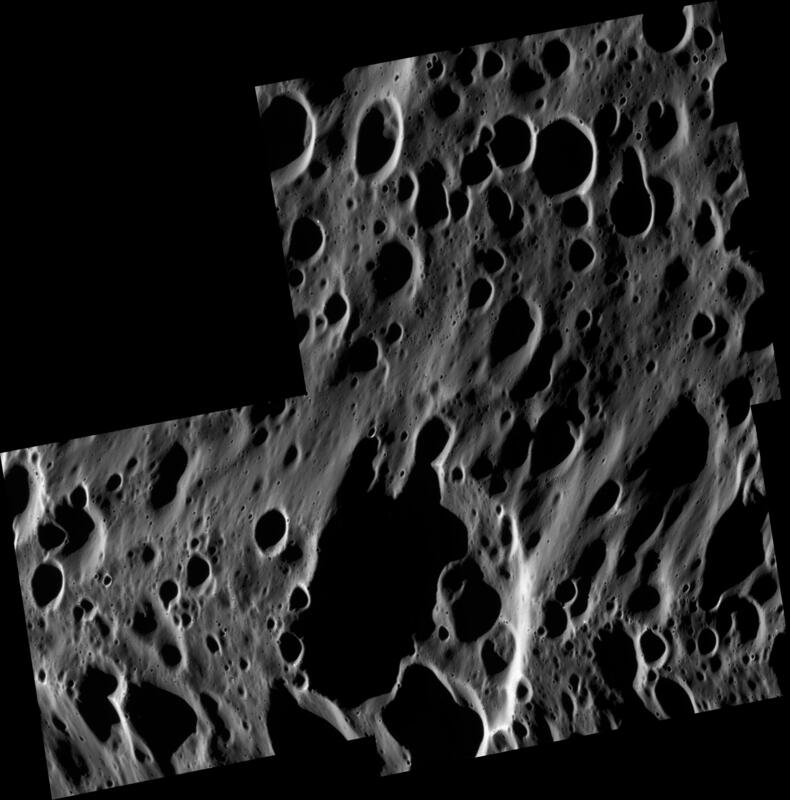 The clear spectral filter images in this mosaic were obtained with the Cassini spacecraft narrow-angle camera on Sept. 10, 2007, at a distance of approximately 63,000 kilometers (39,000 miles) from Iapetus and at a sun-Iapetus-spacecraft, or phase, angle of about 125 degrees.